In last two to three decades, smart technology has revolutionized the whole world and it is on the way to make almost impossible things possible. From first-time glimpse to the present, advancement in artificial intelligence has created machines that works alike human and virtually made the dreams come true. Top honchos like iOS and Android in mobile technology world has already amused all by launching the latest versions of their mobiles and OS with myriad of incredible features. The recent launches of iOS and its upgraded operating system are booming in the market. In the effort of bringing Artificial Intelligence into reality, future iOS has opened the door by giving access to 4000 APIs including Siri that will let the apps to share their data and create the changes biggest like ever. Unless you won’t enter into the sea, you cannot measure its depth, so let’s take a look over the redesign of iOS-8. Like never before, now multiple Apple devices owner can connect his all Apple owing by signing into the same iCloud account. This way you can answer the call coming on your iPhone on your Mac or iPad device without moving from your place. And, you can also end up your work on your Mac that you begin at any other Apple device. Yet surprising, but splendid feature helps you work with no interruption. With new Healthkit tool, you can check your health and fitness altogether, as iOS-8 allows the apps to cooperate by opening APIs for them. Two apps health and fitness will work together and clearly depicts a quick view of your health and fitness in one dashboard. Atmost six people in the family can share the purchases from iTunes or App Store with the same credit card. You can feel connected with your family, save the money that would be otherwise wasted in purchasing same things and can also have the access and control on your child’s shopping. Apart from these, complete family have the immediate access to each other’s downloaded items without sharing accounts and the relevant information. Smart QuickType keyboards are equipped with predictive texts engines optimized multilingual that will suggest you the next words or phrases on the basis of your tone in message or mail in your language. It will save your time and let you chat quickly at ease. iOS-8 is endowed with more reliable message option with which you can send your voice, what you are viewing or any video simultaneously at ease. In the mid of conversation, you can share your location as well. 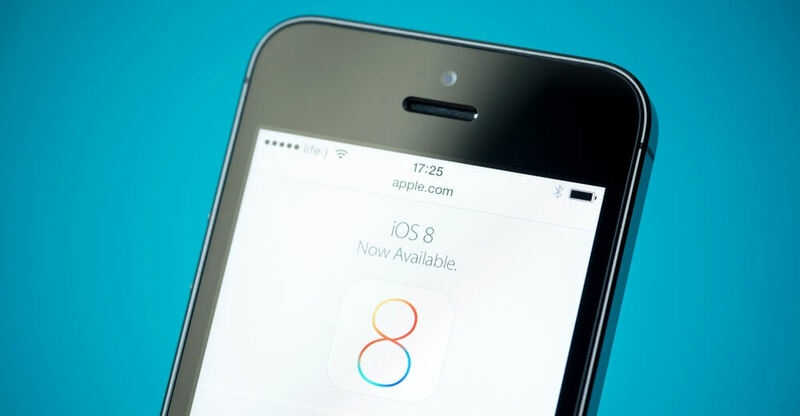 It seems iOS-8 is the thoughtful and masterpiece of the upgraded technology that has wonderfully and in a very schematic way tried to bring artificial intelligence into reality.